SanDisk Sansa Clip Black (2 GB) Digital Media Player. Condition is Used. Shipped with USPS First Class Package. Comes with mp3 only - no case or charging cable. Trending at $27.73eBay determines this price through a machine learned model of the product's sale prices within the last 90 days. IPod 2nd Generation. Loaded with Songs. You can reset if you do not like. New ListingApple iPod Shuffle 2nd Gen 1GB A1204 Silver with Dock - Tested! - Free Shipping! Tested and working. Needs to be reset -- still has music on it. MICROSOFT ZUNE PINK. WE STRIVE FOR FIVE. Black 4 GB Sansa Clip in excellent condition. Original earbuds and USB cable are not included. Very lightly used FiiO X1 Gen II Portable High-Resolution Lossless Music Player (Model FX1221). This DAP works perfectly. You’d be hard pressed to find any scratches or blemishes on it. I bought it to use in the car via Bluetooth. APPLE IPOD TOUCH 2ND GENERATION - 8GB - BLACK. We will do our best to make it right! Our warranty covers manufacturer defect ONLY. Case (has engraving, marking). What You Will Get Physical Condition: 8/10. Up for sale is a used Apple Ipod Nano 2nd Generation 8 GB (Product) Special Edition Red model A1199. All defects are minor and they do not affect normal operation. This unit has been tested and is fully functional and ready for Mp3 loading. 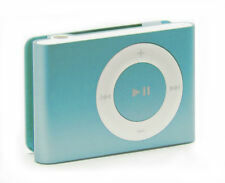 APPLE IPOD NANO 2ND GENERATION - 4GB - BLUE. iPod is in good condition with minor scratches and nicks. We will do our best to make it right! Apple iPod nano 2nd Generation Pink (4 GB) Used Works Great. Apple iPod nano 2nd Generation Pink (4 GB) Used Works Great. No Charging Cable!. This Auction is for the iPod only, no accessories included. 4.5 out of 5 stars - Apple iPod nano 2nd Generation Pink (4 GB) Used Works Great. 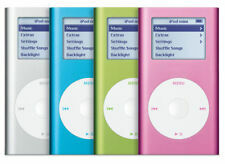 353 product ratings353 product ratings - Apple iPod nano 2nd Generation Pink (4 GB) Used Works Great. THERE ARE ABOUT 155 SONGS ON IT. VARIOUS TITLES.THE IPOD WILL NEED A NEW BATTERY. Sold as is and untested, I have no cords. Light wear. I am not sure if the auto fill in stuff is correct, so search out the model if you are not sure. Apple 8GB iPod Touch 2nd Generation. Will also throw-in new Insten hard rubber protective case. Open box item. Used, Working, Tested, battery seems normal for the age of the ipod. Factory Reset, formatted and tested with windows itunes. Model: Apple iPod Touch 2nd Generation (MC086LL). Included: iPod Touch and usb cable. 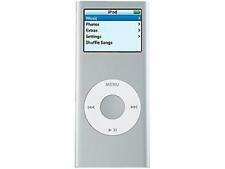 Condition: Ipod had cleaned and reset to factory setting. Capacity: 8GB. Very good battery life. Apple iPod Nano 8GB Black A1199 Tested Works Great . Condition is Used. The ipod is tested and it works great. It holds a battery, all the buttons work, and the audio works fine. THe only thing is the scrath that you can see in the pictures. Apple iPod nano 2nd Generation Black (8 GB) Used. Condition is Used. Shipped with USPS First Class Package. The unit is fully functional, but battery life is poor and needs replacement. Some wear on the edges, see pictures. Ships in the original box, but no charger or headphones. The unit is being sold as is. No Returns. Ipod works great. Mix of country, rock, pop,hip hop, alternative rock, edm, and r&b. 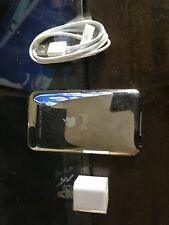 This is for the iPod, and a charging cable. The iPod is in perfect working condition but it is missing the top plastic piece so it is a little tougher to move the lock switch. The iPod shows typical signs of use but nothing major. Apple iPod Shuffle 2nd Gen 1GB A1204 Silver with Dock - Tested! - Free Shipping!